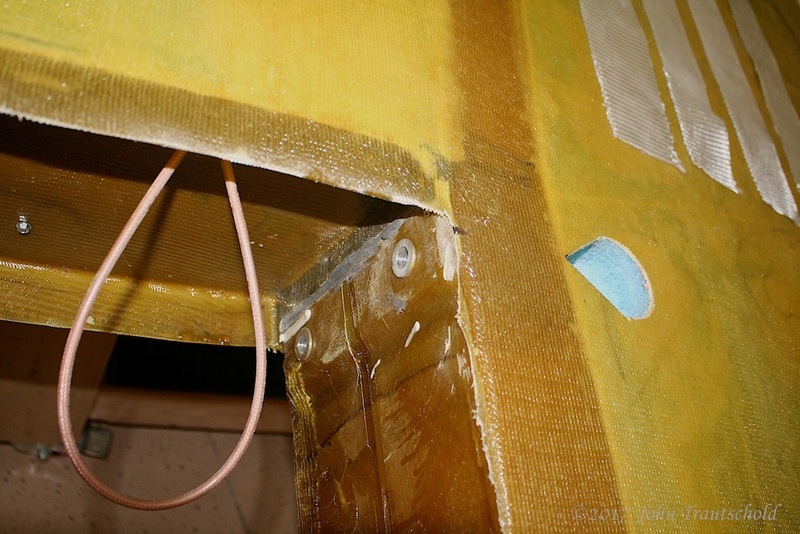 It’s a bit scary to start drilling holes into the newly fiberglassed wing, but that’s exactly what I needed to do in order to gain access to the wing bolt holes. In reality, the process was fairly easy. I purchased a new, deep 2” hole saw for this and I’m glad I did because it made drilling through the fiberglass and foam core very easy. Here’s the hole, elongated as per the instructions. Drilled out wing attach bolt access holes. 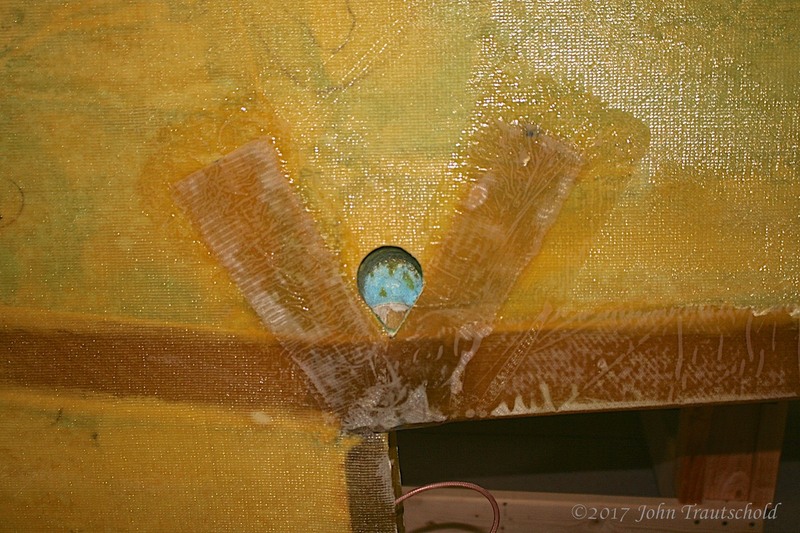 Access hole shown opposite the actual bolt hole on the spar. 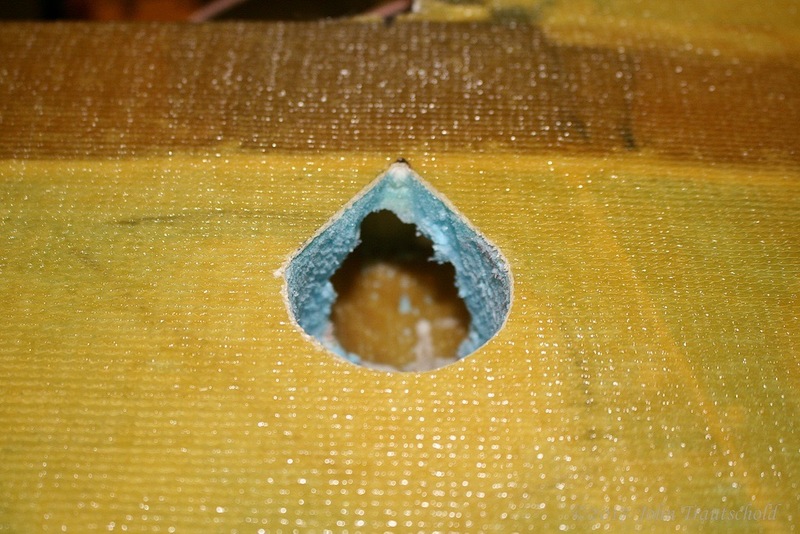 The whitish spots come from sanding down the strips of BID.